Little House of Four - Creating a beautiful home, one thrifty project at a time. 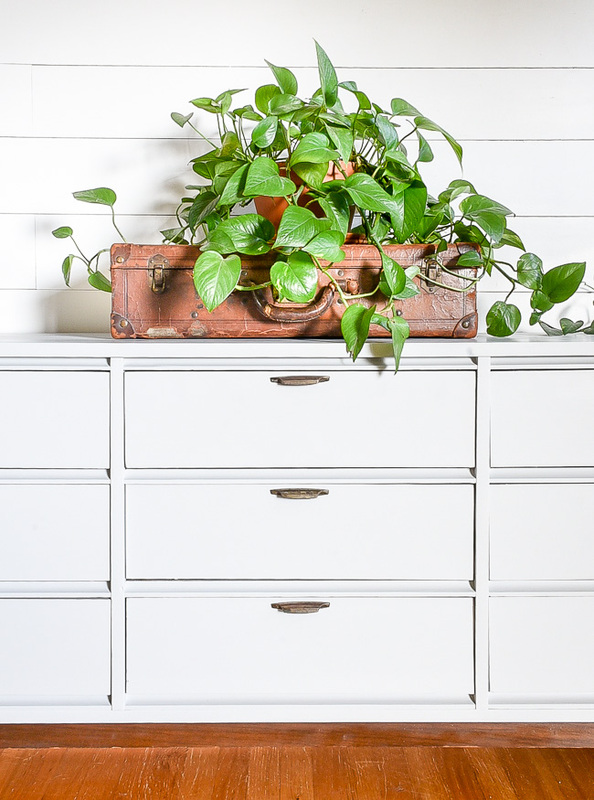 The best home decor items that you should always consider buying secondhand. I love decorating and redecorating our home, but I don't love spending a lot of money on new furniture and decor. Lucky for me, I also love thrifting and hunting for deals, which makes swapping out decor and redecorating both fun and super affordable. 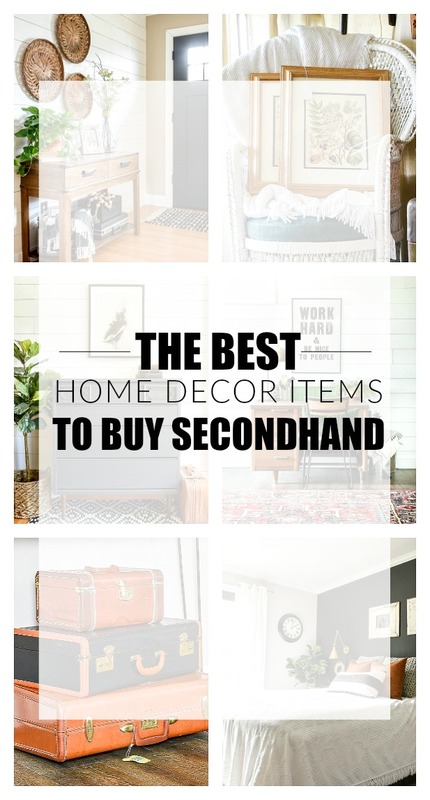 I've shared my favorite sources for buying used furniture and decor and I thought it would also be helpful to share my favorite home decor items to buy secondhand. 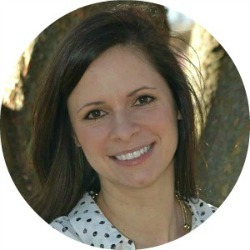 The thrill of the hunt is my favorite part of thrifting and I often visit thrift stores, auctions, estate sales and flea markets in search of specific items in mind. Creating a beautiful vintage modern office in a basement living room. A month ago, I shared that major changes are coming to our little house. In order for those changes to happen, I had to move my office from the addition to the basement. 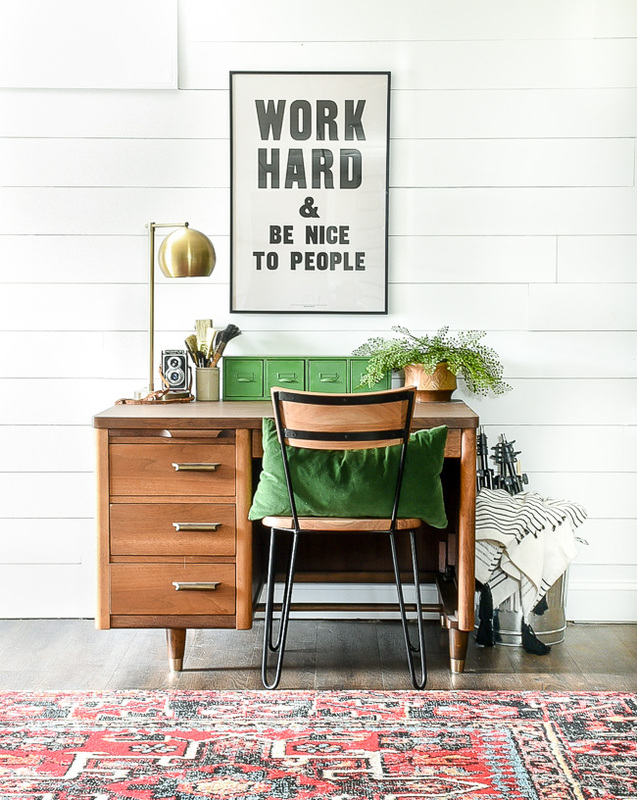 I knew I wouldn't be able to keep everything that was in my previous office space, but I did keep a few of my favorite pieces to create the perfect vintage modern basement office. Learn how to make decorative moss balls using supplies found at the Dollar Tree. Happy April and happy Dollar Store DIY day! Last month, I shared how to make DIY sharpie art bowls and today I'm sharing a super easy way to make decorative moss covered balls. Making DIY moss balls is nothing new and there are many different tutorials floating around, but I wanted to share how you can make them using only supplies from Dollar Tree. You only need 3 supplies, $6 and less than 10 minutes to make these decorative moss balls. It doesn't get much easier or cheaper than that! You can make a bunch of moss balls and display them in a dough bowl or glass vase for an easy table centerpiece or make just a few for affordable shelf decor. ***DESIGN TIP*** Display decorative objects in odd numbers, in particular, groups of three. Odd numbers create visual interest and force your eye to move around a grouping. The best stylish and affordable mid century modern lighting from Amazon! 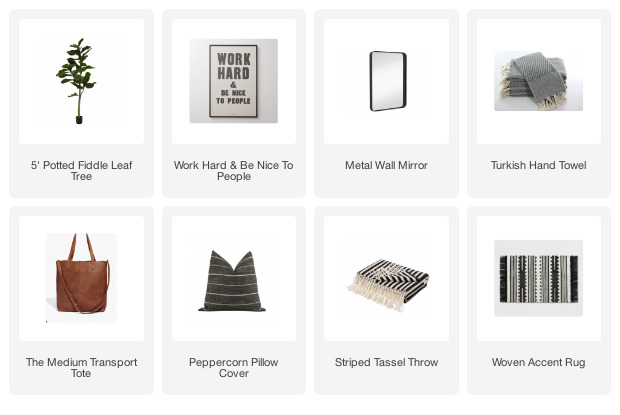 With the start of our kitchen renovation less than two weeks away, I've been spending a lot of time researching and making decisions on hardware, paint colors, counter stools, lighting and everything in between. Some aspects of the process have been easy (like choosing cabinets and hardware) and other aspects have been a bit more challenging. 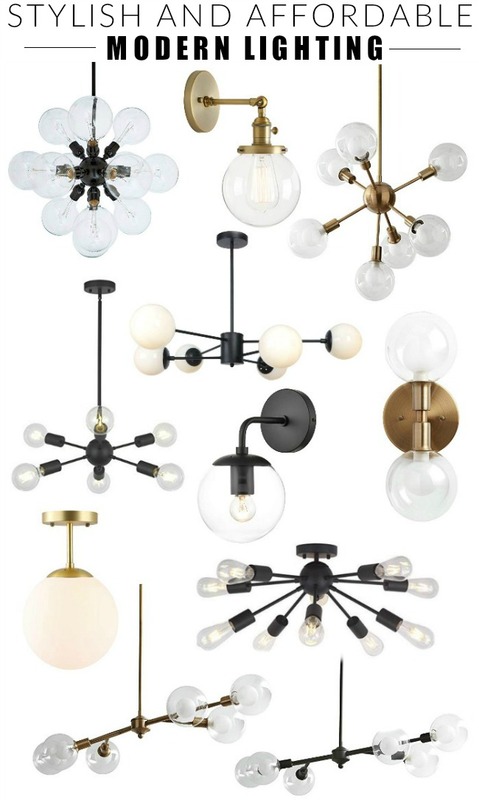 Lighting, in particular, has me a little stumped as I work to pick pendant lights, sconce lights and a dining room light that all coordinate. I'm totally splurging on the sconce lights for over the kitchen window, which means the rest of the lighting has to be both stylish and affordable. I really wanted to go a bit more modern in the dining room, so I headed to Amazon where I found plenty of great affordable modern lighting options. Learn how to paint over dark stained wood furniture to avoid tannin stains and blotchy bleed through. 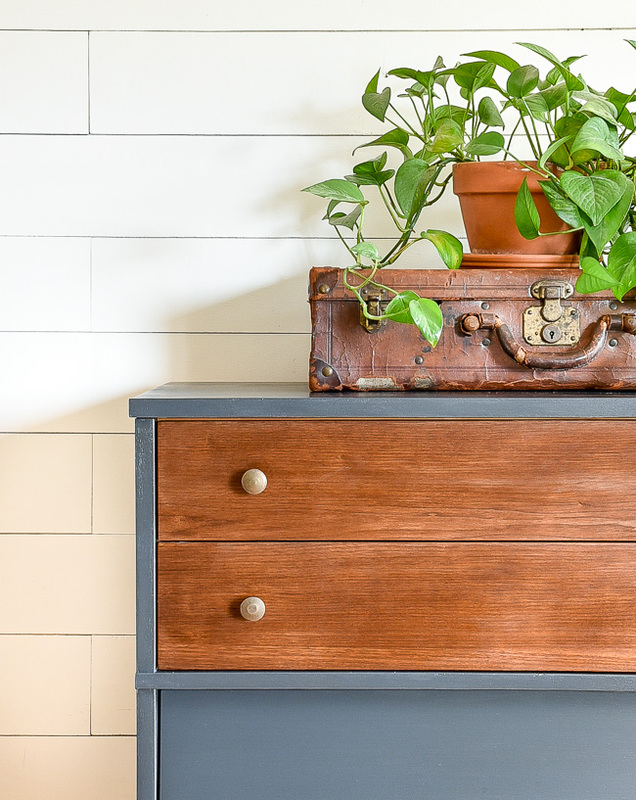 It's been a while since I've shared a DIY project, so how about a pretty furniture makeover? Have you ever painted dark stained furniture and had splotchy stains appear through the paint? There's nothing more frustrating than going through the hard work of sanding, cleaning and painting a piece of furniture only to have tannins bleed through the paint. The good news is, you can avoid bleed through and correct a splotchy paint job with a few simple steps. 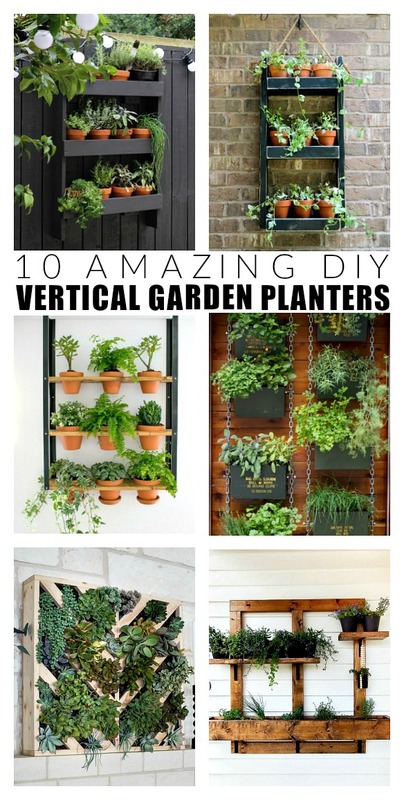 A small space or blank wall is all you need to create beautiful vertical gardens with these DIY planter ideas! The days are longer, the weather is warmer and spring is right around the corner. 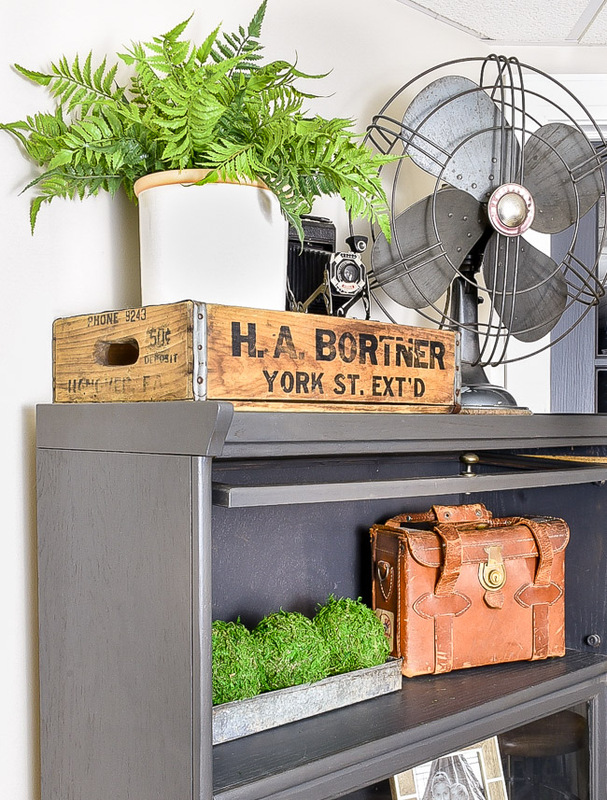 Whether you like to grow your own fresh herbs, plant beautiful flower gardens or simply want to add a pop of fresh greenery to your home, these DIY vertical gardens provide perfect space-saving growing opportunities. All you need is a blank wall or small outdoor area to create beautiful herb, flower and succulent gardens. Between budget-friendly outdoor projects, awesome DIY backyard games and space-saving vertical gardens, it's easy to create beautiful outdoor spaces and gardens for less.